Game shows are the longest running type of show since the nightly news. Every day, millions of people tune in to watch The Price is Right ™, Jeopardy!™, Family Feud™, Wheel of Fortune™, and Let's Make a Deal™. Over the past 21 years, GSA has taken the excitement of TV game shows on the road and produced over 1,000 events, performed in front of over 1 million people, with even more applause than we can count, creating long-term relationships with our clients. 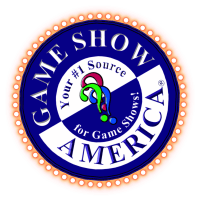 Call today to learn how GSA can help take your event to the next level with a network-caliber game show production.